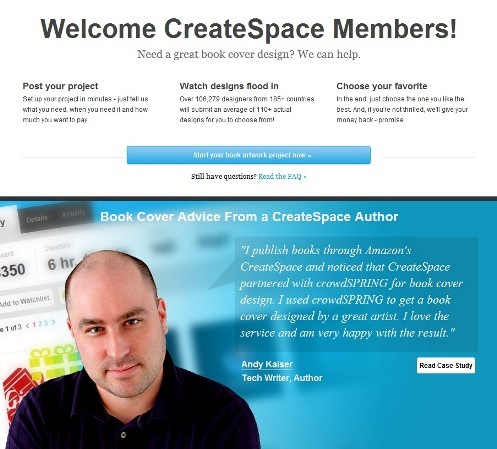 If you’re a self-published author, you may be using Amazon’s CreateSpace to publish your book. 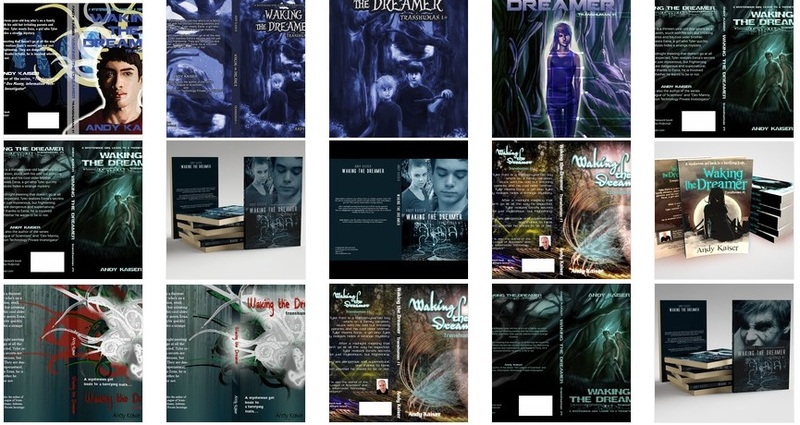 During the book build process, you have a section for your book cover. You can choose from being able to create a book cover using built-in templates, or you can work with other advanced options. While I’m not sure that using my actual face is the best way to advertise anything, I hope my writeup can help others. Thanks to Ross at crowdSPRING for helping to make this happen. I do not like it, IBM techs! You don’t agree? Then YOU fix this mess! Now that I have money to pay for a designer to craft a quality book cover (thanks to Kickstarter – see this post for detail), I was ready to get an artist. This is not a complaint – people should get paid what they’re worth. I just mean that book cover design is a specialty profession requiring not only artistic ability, but specialized technical skill in publishing and layout design, which means it costs money. Artist 1: Will produce a very realistic, excellent quality, custom painting for the book cover of consisting of just about anything I want. 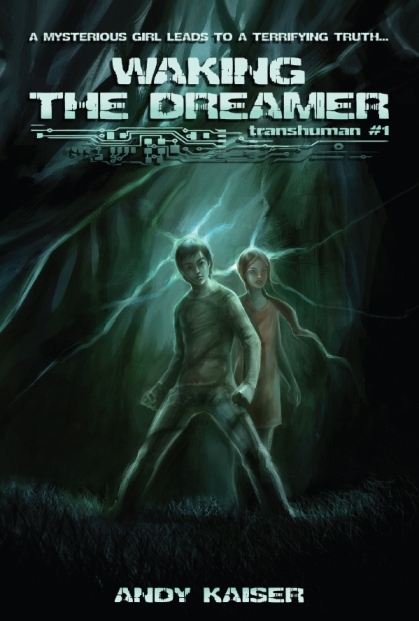 He is the cover artist for a fairly popular children’s book series. Price: $2500. Artist 2: An artist who is completely self-employed with their artistic skillset, and they do a lot of custom graphic design, specializing in book covers. This artist does a lot of design work for self-published authors, and the results are the kind of work you see when you walk into a book store. Price: $1500. Artist 3: The art wasn’t this person’s day job, but the artwork was excellent. They had done a several book covers. Price: $1000. …and I should mention that of all these artists, they had long lead times (meaning it might take weeks or months to finish) and that the quoted prices were their average, but each one could go up by another $500 to $1000, depending on the project. All of the above is why I signed up for crowdSPRING. crowdSPRING is a collection of “creatives” – designers and artists and people who are all way better at creating book covers than me. crowdSPRING provides the talent network, financial transactions, and the logistic and legal project management structure from start to finish. I (as the buyer) provide the project and the payment. In order to give out a $500 award, I had to pay a total of $713. In exchange, crowdSPRING gives me access to their network of creatives, the freelance artists and designers who compete to create what I want. Yes, yes, very much yes. I love the service. However, I love crowdSPRING because of the creative talent it’s pulled together. Will that same level of talent be there tomorrow, or a year from now? Or when you start your own project? I certainly can’t guarantee that. However, crowdSPRING does have methods of tracking and rating various creatives, as well as providing portfolios of their past projects – ones in which they’ve won and didn’t win. You can browse this information free of charge, and I’d recommend doing so to make sure your expectations are met before you commit money. With the above said, crowdSPRING also provides a money-back guarantee: If you’re not happy with the results, you can cancel the project, and lose nothing apart from the listing fee. So a failed project (for whatever reason) doesn’t mean you wasted a lot of project funds. The short story: I used crowdSPRING to get a book cover designed by a great artist (many thanks to Darko Tomic!) and I’m very happy with the result. Stay tuned for the final step in the publication process. In about a month, I’ll have a book! As it relates to my latest book, I’m trying something very new to me: Crowdsourcing and (for a lack of a better term) Crowdcreating. This post is about the former. My next post will cover the latter. My situation is that I need help to cover the up-front costs of paying for an artist to design a cover for my latest book. So I signed up for Kickstarter, a crowdsourcing agency: You publicly post what you’re trying to accomplish, what rewards you’re willing to give depending on what people are willing to contribute, and other people pledge money to you. If you meet your goal, you get money. There are no “partial wins” – if you don’t get enough pledges to meet your goal, you get nothing and your contributors pay nothing, but you are free to try again. At the time of this writing, Kickstarter takes 5% of the total contributed amount of winning campaigns, and then Amazon (the credit card and money processing agency) takes another 3%-5%. So, estimate 9% is cut off the top before you get any money. In my case above, my campaign earned $880. I’ll actually get about $800. What did I learn about Kickstarter? Instead of signing up for Kickstarter and having to pay their fees, couldn’t I instead just ASK people for money and give them various rewards? Sure, I could do that, but that’s a low-volume, non-automated method. If you want to take a loan from a friend or family member, by all means, go for it. But if your intent is to raise a lot of money or reach a lot of people, you may want assistance from a proper tool like Kickstarter. Kickstarter is powerful: Kickstarter gives a creator access to a massive number of potential pledges, arguably far beyond what they could generate on their own, allows the creator to easily track everything related to the project, allows pledges to maintain and change their accounts without bothering the creator, allows the creator to contact contributors via subset or en masse, and it has a built-in payment and accounting system. It’s cool. The money does not magically appear: Your project may not be as profitable as what’s displayed in the Kickstarter promotional material. Yes, as you browse through the Kickstarter site, there are many cool projects out there. Many have raised amazing amounts of money. Many have succeeded. My own project is not one of these. It would’ve failed without an unexpected boost from one of my family members. With two days remaining on my campaign, I was barely over halfway to my $700 goal. Have a video introduction: Kickstarter’s instructions even tell you to do this. You should have a video because it’s more personal, helps generate more goodwill, and (hopefully) makes your project appear more professional. I did not do a video, thinking that something as straightforward and simple as a book cover didn’t warrant one. I was wrong. Another reason to have a video: What I missed in the small print was that if you have a video, you will be included on the Kickstarter website’s promotional pages. If you don’t have a video, your project is never highlighted. I didn’t have a video intro for my project. Next time, I definitely will. Have a big fan base: I currently have about one thousand people in contact lists, and I run nine websites. It’s not enough. In terms of generating interest for a Kickstarter project, it’s abysmal. My results were great, if you only counted my friends and family. As for fans or people who didn’t know me personally? I only had four (yes: one, two, three, FOUR) non-friends-or-family contributing to my campaign, and it’s those strangers that will really make the difference between success and failure. Otherwise, yes: You’re better off asking for a loan from a family member. I need to have an exponentially larger fan base before I can expect to pull significant Kickstarter pledges. 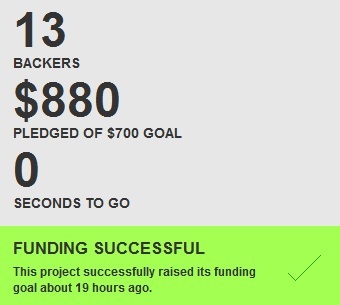 I know that I’m lucky to have had my Kickstarter project complete successfully. My next attempt will see my results bolstered by new information, more fans and better technique. Of course, that’s all for later. Now that I have the money, I’m very eager to take the next step: Let’s get an artist for this book cover!